Arrests Made In $75 Million Prescription Drug Heist : Shots - Health News Federal authorities brought charges yesterday against 22 people they say were part of an organized crime ring that stole $100 million of prescription drugs and other goods. Such drug thefts still pose threats to consumers and the pharmaceutical industry. Two brothers have been charged in connection with one of the nation's largest drug heists, along with 20 other people in an organized crime ring that stretched from Florida to New Jersey and Connecticut. It's the culmination of a three-year FBI investigation in which undercover agents managed to prevent any of the stolen drugs from entering the marketplace, the Associated Press reported yesterday. In 2010, federal authorities say, Amaury and Amed Villa broke into an Eli Lilly & Co. warehouse near Enfield, Connecticut, and made off with a haul of prescription drugs including antidepressants and antipsychotics. At the time, the drug industry blog Pharmalot described it as like something out of The Sopranos. The heist took place on a windy, rainy night in March. The thieves scaled the building, cut a hole in the roof, lowered themselves in on ropes, disabled security systems, and then loaded pallet after pallet of drugs into a tractor-trailer truck. The stolen drugs were estimated to be worth at least $75 million. 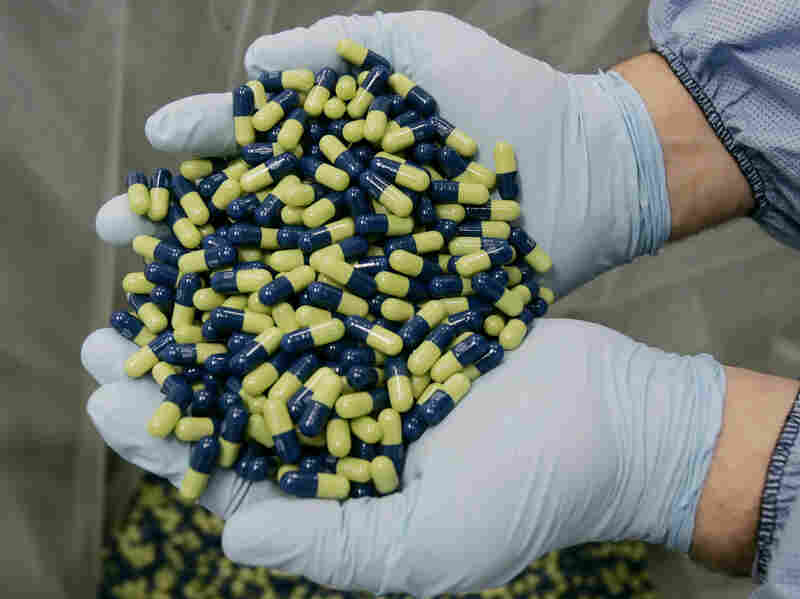 It was the largest theft ever in Connecticut and also the largest for the U.S. pharmaceutical industry, David Fein, U.S. attorney for Connecticut, said in a media briefing Thursday. But it was neither the first such theft for the industry nor, as DNA evidence would suggest, for at least one of the alleged thieves. As Fortune reported last year, multi-million dollar drug thefts were an increasing problem even before the Lilly heist. Just seven months earlier, a similar breakthrough at a GlaxoSmithKline warehouse in Virginia netted drugs valued at $6 million. DNA recovered from a coffee cup at that crime scene was later matched with DNA found on a water bottle at the Lilly facility, leading investigators to think Amed Villa was involved in both crimes. In addition to the Lilly heist, the crime ring stole another several million dollars worth of drugs and about $20 million of other goods during other break-ins and truck hijackings. Drug theft isn't just a financial burden on pharmaceutical companies. It can cause real harm to patients. In 2009 the FDA warned consumers that stolen insulin, which had been improperly stored and was no longer effective, had entered the market. Some patients who used the stolen batches experienced convulsions or dangerous spikes in blood sugar. A similar advisory in 2010 warned of stolen asthma inhalers that had made it to pharmacy shelves. Since the Lilly incident, the pharmaceutical industry has beefed up security and regulators have issued stricter rules to encourage prompt public disclosure of drug thefts. "The Eli Lilly burglary was a significant wake-up call," security consultant Edward M. Petow told CT.com last month. "Education and awareness as a result of the Eli Lilly theft has had an impact on the industry," he said. The new measures may be working: transportation security consulting firm Freightwatch reported a significant decline in both the number and value of pharmaceutical thefts in 2011.